As part of The Royal Foundation’s Taskforce on the Prevention of Cyberbullying, a panel of young people have developed a campaign to encourage other young people to take three simple steps when you see bullying online. 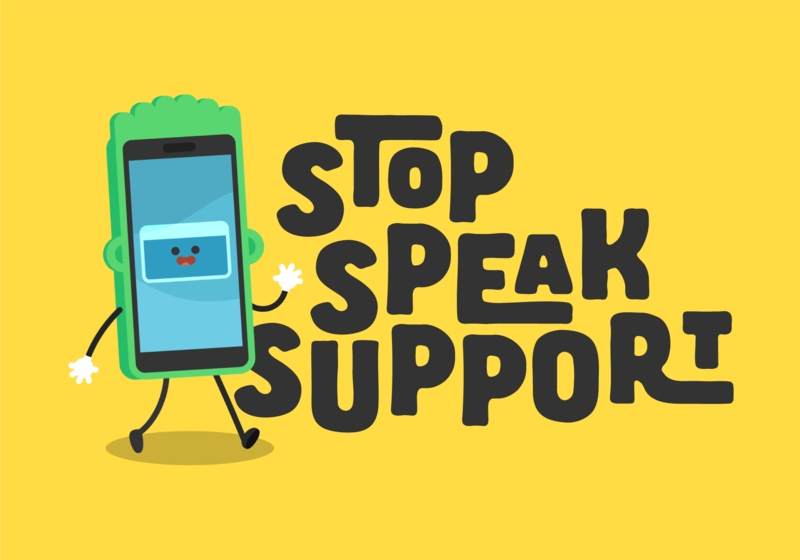 The Stop, Speak, Support campaign has been created in response to 11-16 year olds saying that while they enjoy social media, games and online forums, that it is the only area of their lives that they feel does not have clear expectations or standards of behaviour they should all adhere to. The Stop, Speak, Support steps were created in partnership with a panel of young people through a series of focus groups and workshops. Advice is also available for parents. This entry was posted in 2017, Cyberbullying, e-Safety, Peer on peer abuse, Resources, Schools, Secondary, The Royal Foundation Taskforce on the Prevention of Cyberbullying and tagged Bullying, Cyberbullying, KS2, KS3, KS4, Secondary, The Royal Foundation Taskforce on the Prevention of Cyberbullying. Bookmark the permalink.